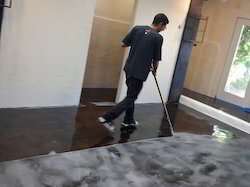 Our range of products include star paint shield- transparent anti-graffiti coating for all painted or coated surface, star paint shield - scratch resistant transparent lamination for all painted surface, star damp shield - damp and scrub resistant hard paint and star paint shield - nano-modified paint protective water and dust repellent coating. 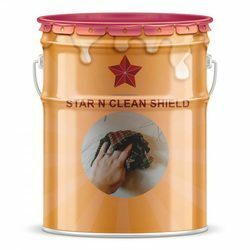 Star Paint Shield maintains the shine of buildings, stadium, industries, Cars & offices and to prevent them from corrosion, you need to paint them regularly. Painting is a tedious task as it requires a lot of resources such as labor, money and time. We have formulated Star Paint Shield which helps you to retain shine & glossiness of exterior as well as interior paints and provide long term durability against weathering and stains. It is a Transparent Ultra-Hydrophobic Coating for painted surfaces which fills all the pores to create a scratch resistant transparent lamination which protects the surface from Water & Dust. Star Paint Shield is composed of inorganic networks which provide you excellent weather stability. 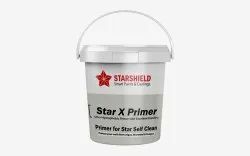 And yes, due to dust repellent property, Star Paint Shield is Self Cleaning in nature and provides excellent long term durability & shine to buildings. Star Paint Shield creates a Transparent Nanoparticle Lamination on the surface coated. Once applied, it seals all the pores on the surface by creating a thin hydrophobic layer. 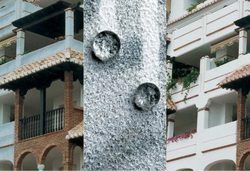 The layer prevents every possible penetration of the water droplets and makes the surface water proof & it costs just around Rs. 2.57/- per sqft. Star Paint Shield creates a Transparent Nanoparticle Lamination on the surface coated. Once applied, it seals all the pores on the surface by creating a thin hydrophobic layer. The layer prevents every possible penetration of the water droplets and makes the surface water proof & it costs just around Rs.2.57/- per sqft. Star Damp Shield, a damp and scrub resistant Nano modified hard paint which has the ability to stay strong against damp and seepage. It has the quality to form highly cross-linked polymer network once it is dried. Also, when your walls are protected with Star Damp Shield, which is resistant to water and scrub, then you can freely clean all the walls with highly abrasive materials, Scrubbers, Strong Detergents, Soaps or Any other solvents without any hesitation and fear of damage. Similarly, the walls of all rooms in your houses can remain spotless and gleaming. Star Damp Shield, after drying forms a high cross-linked polymer network. The coating then does not allow any of the Dirt or Algae, Fungus and Dampness to damage the wall and it just costs you around Rs. 5.85/- per sqft. in double coat only. can withstand all types of cleaning agents and strong detergents. • Star Damp Shield is highly resistant to mechanical scrubbing. • Star Damp Shield is highly durable and easy to clean.• It protects walls from the attack of fungus, algae and mild dew growth. Star Paint Shield creates a Transparent Nanoparticle Lamination on the surface coated. Once applied, it seals all the pores on the surface by creating a thin hydrophobic layer. The layer prevents every possible penetration of the water droplets and makes the surface water proof & it costs just around Rs.11.09/- per sqft.